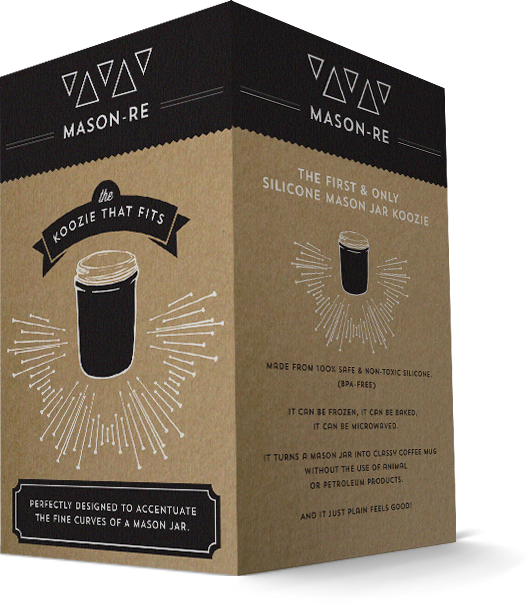 The Mason-re koozie is the first Silicone koozie designed from the ground-up to perfectly fit a wide mouth pint jar. 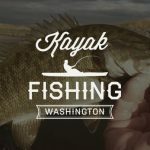 Whether it is drinking coffee, beer, or your a cocktail, Mason-re koozies provide the best way to insulate your hot or cold beverage. Mason-Re delivers products that consumers already buy but delivers a better, more sustainable, well-designed solution for their needs. 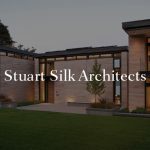 By creating reusable and multi-use products, using sustainable materials to produce, and delivering them in low-impact, eco-friendly, recyclable packaging, consumers will feel good and proud about using Mason-Re. 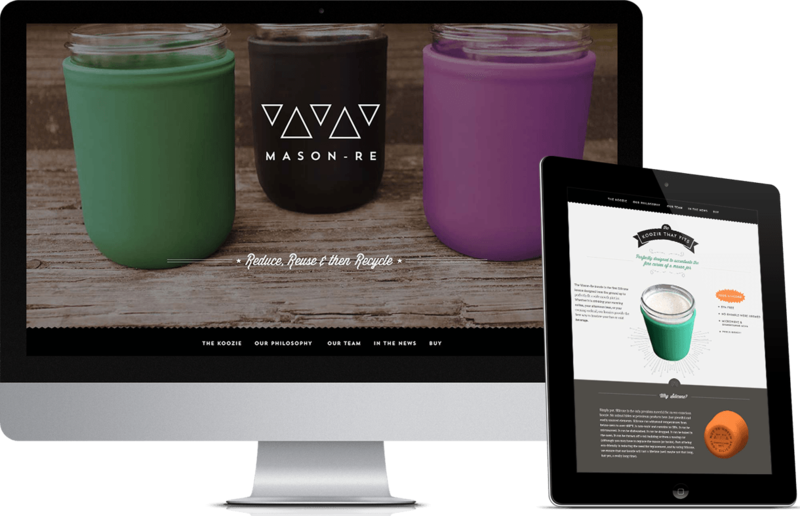 In designing the Mason-Re branding and Shopify ecommerce website, we focused on a solution that would communicate the value and philosophy of the brand and appeal to a young, hip, eco-conscious audience.